Last June, Samsung introduced the first time a smartphone that can be bent and have flexibility on the side of the screen, which is named Galaxy Skin. 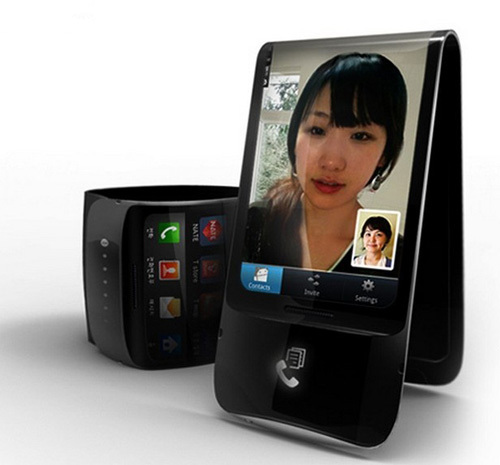 It's a cool gadget!! 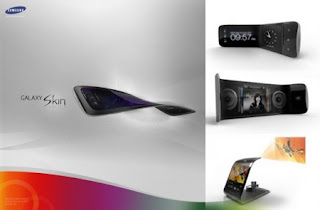 Galaxy Skin Specifications include flexible AMOLED screen by 4-inch 800 × 480 resolution, 8MP camera comes with auto focus, self shot, action shot, panorama shot, stop motion, smile shot and Add Me feature, and a VGA front camera. 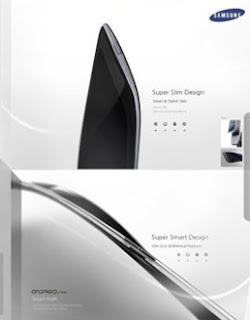 1.2 GHz processor, 1GB of RAM, 1500 mAh Battery, Network 3.5G (GSM /GPRS / EDGE) 850/900/1800/1900 MHz), 4G (HSDPA 7.2 Mbps, HSUPA 5.76Mbps): 900/1900/2100 MHz. Other features: The integration of the message using Social Hub, Android Market, A-GPS, applications Augmented Realty: Realty Screen Browser, SMS, MMS, Email, Video messaging, ExchangeActiveSync. 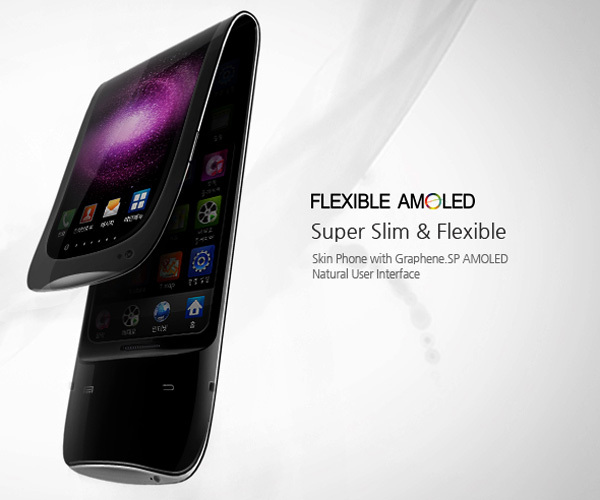 Bending power of this device can happen because the technology is applied to Samsung's AMOLED screen at Galaxy Skin. 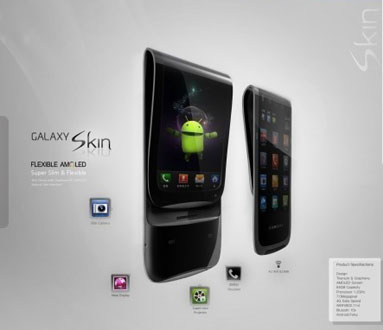 With this concept, the Galaxy Skin can turn into a shell-shaped devices (clamshell), bracelet or other form.